"En" means a chance which leads us to meet and get to know each other in Japanese. A lot of "en" will make a big circle of human relationship. Interestingly enough, "circle" is said "en" in Japanese. The big circle, consisting of a lot of "en", brings you enjoyment, entertainment and enthusiasm. 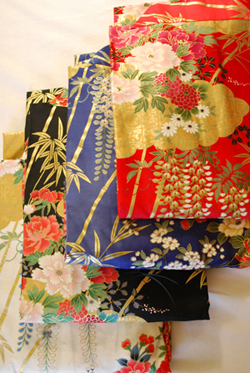 We hope that "KIMONO"s, which are our products, will make a big circle all over the world as a lot of "en" make that, and will be your entrance of Japanese culture finally. Meeting people is enjoyable, entertaining, and enthusiastic. You will see how fantasic it would be. Something to bring people closer, it's our "KIMONO". Welcome to our site which "En" brings you ! We hope our items will act as a happy bridge for the people in the world ! !